Headquartered in Morgan Hill, California, Aragon Research works with executives at every significant level of business and across all industries, to empower more informed technology and strategy decisions. The Aragon Research Tech Spectrum™ aims to help differentiate between the many vendors who offer CJM technologies, assisting enterprises to manage and plan better customer experiences and journeys. Their latest report was written by Jim Lundy, Aragon Research CEO & Lead Analyst, and Jim Sinur, VP Research, and Aragon Fellow. The special publication positions Signavio as a “compelling new leader” in the Customer Journey Mapping (CJM) Tech Spectrum™, which is Aragon’s latest market evaluation tool. The Aragon Research Tech Spectrum™ for Customer Journey Mapping, 2019 report evaluated 27 global providers and is segmented into three sector levels across product/service and performance dimensions: Promising, Contender, and Leader. Signavio aced all areas of analysis including performance, awareness, and strategy, and is given credit for driving the market and having a vision for the future of CJM technology. Only a handful of vendors made the Tech Spectrum™ 2019 Leader grade. Signavio also recently became the world’s first process management vendor to win two Aragon Research Hot Vendor™ awards, with our “hot” in-depth configuration and rich capability helping organizations raise their CJM and process game. By embracing customer journeys as a strategic and creative imperative, process can drive digital transformation and optimize organizations. In other words, companies can shield themselves from market volatility and uncertainty by taking an omnipotent customer-view across producing, marketing, selling, and delivering products and services. Therefore, with better customer experience a critical initiative in digital and IT transformation, improvements in customer interactions are the baseline standard for all leading organizations. Understandably then, the frequency of change and the disruption involved in the customer experience warrants a technology that delivers these journey maps quickly. Signavio CJM technology is the answer. Digital transformation is about the speed of business, and the ability of organizations to deal with new and emerging behaviors. This engagement empowers companies to shift away from lopsided efficiency goals, which often frustrate customers. Instead, you can move towards all-inclusive effectiveness goals with Operational Excellence (OpEx) built around the customer, at the lowest organizational cost possible. Every customer is unique in the way they engage with an organization, so having a framework in place to optimize each touchpoint is essential in generating more revenue and new business. The journey map is the ideal template for operational performance metrics, as accurate tracking of touchpoints–and how customers interact with them–enables organizations to understand customer behavior, digital channels, and context in new ways. Today’s organizations are competing on value, and winning over the modern customer often requires much more than a price reduction. Customers want an enriching and seamless experience across all touchpoints. And if we can understand today’s customer behavior, we can better predict future interactions. Signavio Customer Journey Mapping (CJM) allows users to quickly and easily visualize the way customers interact with their business from an outside-in perspective. 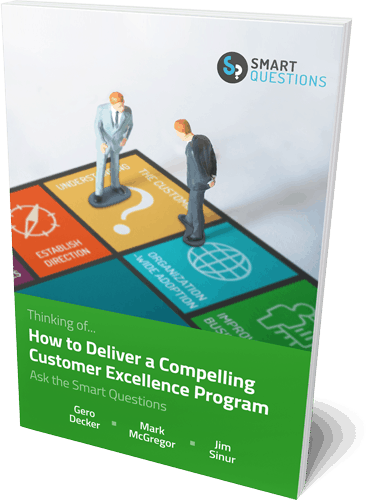 This omnipotent overview enables you to see through the eyes of the customer on the ways you produce, market, sell, and deliver your products and services. Signavio opens the window on insightful customer experience, instead of just closing in on internal business processes. In a global first, Signavio brings this big picture into even sharper resolution with Customer Journey Mapping and custom images. This new feature enables you to incorporate your own brand identity into your process models, empowering your staff and colleagues to suggest process improvements in a more collaborative and personal environment. This visualization enables organizations to understand customer personas better and identify areas for customer-centric process improvement while empowering business mapping, change, and OPEX. With the click of a button, users can see processes related to a customer’s journey and the departments responsible for each touchpoint. You can quickly identify bottlenecks, duplication of effort, and any unnecessary steps that negatively impact your relationship with customers. Signavio is a CJM thought-leader and is committed to embracing today’s working practices with the future of your business in mind. But how can a successful corporation stick to industry best practice when the business world is in a constant state of flux? If the rate of change is as fast as we continually say, we need to be talking about Next Practice and CJM, not best practice. In other words, let’s do the research and learn, but define our success. Let’s shift from best practice to Next Practice. As the economic spotlight moves to developing markets, global companies need new ways to manage their strategies, people, costs, and risks. Progressive organizations recognize that what keeps you ahead of the competition is innovation. Jim’s background as an analyst in customer experience and business process management makes him uniquely qualified to understand the proper connection between process management and customer experience. Following the presentation, Jim will be joined by Mark McGregor, Head of Strategy at Signavio, to explore further opportunities and risks associated with a customer journey approach. Unlock the power of process and better understand what it takes to reach CJM Tech Spectrum™ 2019 Leader standard. 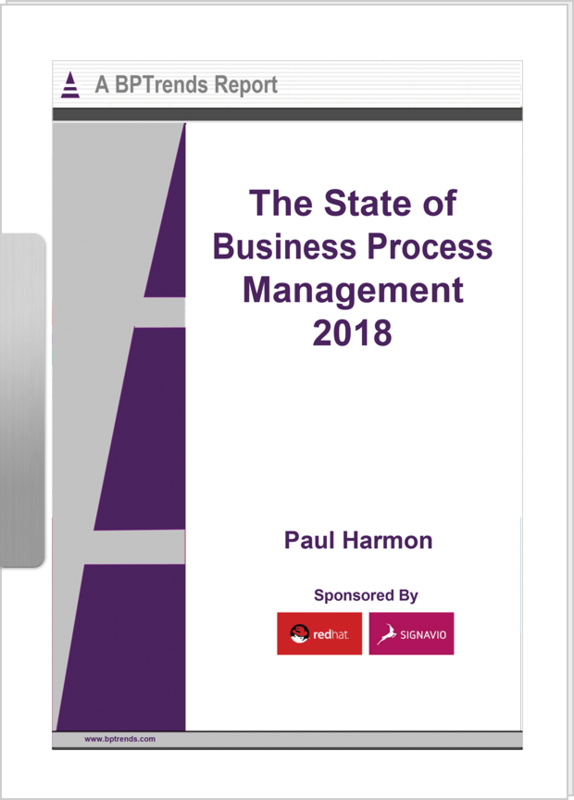 Hot off the digital press: Read Dr. Gero Decker’s, Signavio Co-founder and CEO, process management predictions for 2019, as featured on bpm.com’s 2019 bpm top influencers. … It is great to see the analysts sharing Signavio’s thought-leadership on customer experience and CJM, and emphasize the importance of building processes around the consumer for better business understanding and outside-in perspectives. Mark McGregor, Head of Strategy at Signavio, is the creator of the Next Practice concept. See how Signavio can put your organization on the path to business excellence with Signavio Business Transformation Suite. Try it for yourself by registering now for a free 30-day trial.